Does suffering always lead to greatness? At age 32, when his personally proposed projects for Illinois state infrastructure fell apart, he suffered a depression so dark that his friends removed all of his knives, razors and scissors. “His belief in himself shaken, he announced his retirement from the state legislature at the end of the current term,” writes Doris Kearns Goodwin of Abraham Lincoln. The presidential historian’s newest work, Leadership: In Turbulent Times, examines four of our chief executives, dividing each of their lives into chapters on their formative years, their rising promise, their reversals of hope and finally their sustained accomplishment. On the floor of the Albany legislature, Theodore Roosevelt received a telegram announcing that his wife Alice had given birth to their first child, a daughter. But it was followed by news that both his wife and his mother were gravely ill. His wife from a kidney infection, which had been masked by her pregnancy, and his mother from a lethal typhoid fever. The two women died the same day. “The light has gone out of my life,” Theodore said. If suffering automatically produced greatness, our world would be full of giants. Franklin Roosevelt, Theodore’s younger and distant cousin, was counting on his youthful good looks, ceaseless charm and unflagging energy to carry him to the White House. One summer day he noticed a lethargy in his limbs, which he tried to stave off with exercise. He soon lost all control of his lower limbs. Lyndon Johnson failed in his first attempt to become a U.S. senator from Texas. It was stolen from him. In time Johnson would learn to do much the same. Ms. Kearns Goodwin admits that his setback seems the smallest of the four, but she notes that, unlike the other three leaders, Johnson had no life apart from politics. Apparently, every decision the young man ever made was calculated to propel his political ambitions. Americans did not know that they freely elected a once-suicidal president or one who was truly disabled, unable to walk unaided. They did not directly intend to elect Theodore Roosevelt or Lyndon Johnson to the presidency. Both entered the White House through the terrible twist of presidential assassination. The four are among our most successful presidents, leaving the nation fundamentally and forever transformed by their terms in office. Ms. Kearns Goodwin ponders, four times in four presidential lives, a question that is often posed: Does suffering forge greatness? By itself, suffering is no gateway to greatness. Yet it’s hard to find titans of history who didn’t know great sorrow. Put that way, the answer is no. All human beings suffer, many in ways more profound than any presidential candidate. If suffering automatically produced greatness, our world would be full of giants. Clearly, there is some infusion of vigor, what we would call a grace, which allows some to experience suffering itself as a source of strength. St. Luke is not writing a Kearns Goodwin chapter on initial setbacks when he tells us of Jesus entering a synagogue, early in his ministry, only to encounter a rejection that would have ended many a political career. to hurl him down headlong (4:29). Luke’s point is not that Jesus must first be transformed by suffering before he can offer to his people what they truly need. No, Luke wants us to understand that if one approaches Jesus in the wrong way, with the wrong attitude, one will never see him as the savior. “Do here in your native place the things that we heard were done in Capernaum” (4:23). If you approach Jesus as one more issue to be mastered, pro or con, one more item in a world that ceaselessly demands our attention, then you will never know him as the Christ. The experience of grace is synonymous with the recognition that we are not alone, that someone other than we, speaks within us, offering strength. Consistently in his Gospel, Luke suggests that Christ can only be known in faith. For Luke, faith is a form of knowledge, which so often comes to us when we are low to the ground, on our backs, unable to raise our heads. In this Gospel, an unlettered maiden, not a learned priest, says “yes” to the initiative of God. In this Gospel, shepherds, who have time on their hands, behold the beginning of salvation in Bethlehem. Luke’s Zacchaeus is short in stature, physically and morally, but he knows enough to climb a tree. And only Luke gives us “the Good Thief,” who steals heaven at the last moment of life, on a cross next to Jesus. Did Nietzsche get it right? That Christianity is a religion for the wounded and the weak? That faith in a higher power, an invisible personage, isn’t needed by those who can “actualize themselves,” as we like to say? 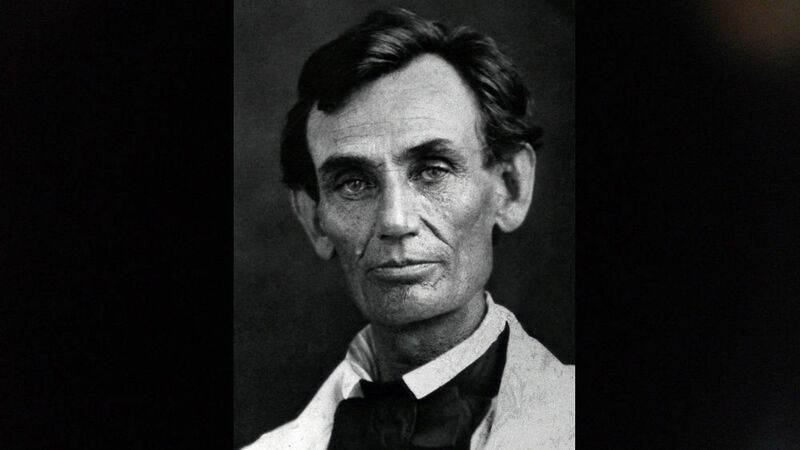 Lincoln was never much a churchgoer, despite being a saint. Both of the Roosevelts kept their belief in Christ within acceptable channels of mainline Protestantism. And it was probably a much older, more accomplished Lyndon Johnson who encountered his Christ, perhaps late in sleepless nights, as he watched the Vietnam War undo his Great Society. By itself, suffering is no gateway to greatness. Yet it’s hard to find titans of history who didn’t know great sorrow. So either nothing more than blind fate swivels suffering into strength for some, yet not for most, or the vale of suffering is the graced moment in which we decide whether or not we will lift up our eyes to the mountains. Sooner or later, we all suffer. Many grow sullen in sorrow. Some become saints and the stuff of sagas. St. Luke suggests that the difference does not lie within the self, though, admittedly, it is deep within the self that what we call grace awakes. Luke simply wants us to know that the experience of grace is synonymous with the recognition that we are not alone, that someone, someone other than we, speaks within us, offering strength. In short, that we have a savior. A deacon, ministering to the mentally challenged, tells me that parents discovering their child is disabled tend to have their hearts narrow or greatly expand. No doubt something similar happens when the cross of suffering comes across our personal path. Jesus' good news is that such crosses are never the final word; that the Lord offers to carry our crosses with us into His resurrection. more, that pain is great or can make you great. One way is through medical research, discovering how to control/end pain through scientific study, bringing fame (greatness) to the scientist who discovered it and the scientific team perfecting it. Unfortunately this can creates pharmaceutical greed and avarice at the business level, and monetary grief to the sick in need of the medicine, but often unable to afford it, who feel compelled to limit its use contrary to Physician’s orders! Another source is involvement I in spirituality, particularly in NT Paul, see Phipians/Colossians, offering personal pain in union with Jesus’ sharing the Cross and redemptive ministry, is a great act of love and produces great spiritual kinship to Jesus. Ever since childhood I’ve done what Sister said to do, “Offer it up” all sufferings of life, in union with Jesus.’ At 87 with increasing and multiple sources of pain that won’t go away and as experience shows, worsens. “Offering it up” to God vicariously with Jesus is very meaningful and satisfying. It is a great way to live, gives suffering a special meaning, explaining its “Whys?” making pain invaluable, producing greatness about which the world in which we lives knows nothing! And humbly admitting, makes me great in God’s sight. Hopefully ! This is my take responding to Fr. Terrance Klein’s insight. Pain is a necessity, not always something to avoid. Nature often uses it as a warning device, telling those who feel it that something is not right. Pain like water sustains life, but can also kill! I can think of two ways, maybe there are more, that pain is great or can make you great. May I recommend a book pertinent to this topic. I am no fan of Jesuits per se, but Jesuit brothers Dennis and Matthew Linn have written a profound book on this topic. It is called Healing Life's Hurts through Forgiveness. They were both graduate psychologists and discovered that the self-same suffering in some persons leading to them being a useless or destructive mess had in others been the source of transformation, growth, empowerment and maturation. In other words, your history does not determine your destiny. The Rev. Terrance W. Klein is a priest of the Diocese of Dodge City and author of Vanity Faith.